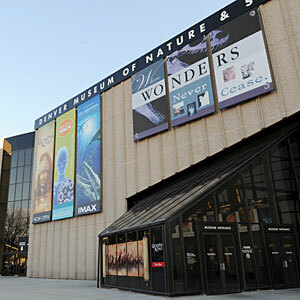 Located inside City Park, Denver Museum of Nature & Science offers one of the city’s most diverse—and fun—learning experiences. Don’t miss out on the gems exhibit, which highlights some of the state’s most revered possessions, or the Prehistoric Journey, which transports you through eons from the world’s first organisms to the present. Be sure and budget time to see a feature at Phipps IMAX 3D Theater or Gates Planetarium (both are located inside the museum, at an additional cost).